Time Running Out to Register for 2012 Winning Patents Workshops! PRG’s 2012 Winning Patents Workshop provides a strong foundation for entry-level patent practitioners with up to two years of experience. The workshop teaches the skills necessary to produce better patent applications in the current world of patent case law. And this year’s Workshops have been updated to reflect relevant changes introduced by the America Invents Act (AIA), including the entirely new §102 prior art criteria, which become effective in March 2013. Through lectures and an interactive, small-group exercise, attendees will learn best practices in patent prosecution that will help you win at the Federal Circuit. You benefit….and so does your company or your firm and its clients. The Fall 2012 Advanced Course that will be highlighted today covers post-grant patent practice, including review, reexamination, reissue, and supplemental examination. After the jump, learn all the details about the Post-Grant Patent Practice course! Learn about the upcoming changes to the Exam and how these changes may affect your study plan by reading the latest post at Passing the Patent Bar with PRG! Summer Advanced Courses Conference Open for Registration! Join us in Washington, DC on August 13-14, 2012 for a special two-day Advanced Courses conference focused on the impacts of the America Invents Act (AIA). August 13, 2012 (Monday) — America Invents Act: Monumental Changes, the Consequences and the Unanswered Questions will provide an overview of the changes introduced by the AIA and cover the latest insights into the key provisions of this major legislation. August 14, 2012 (Tuesday) — When, Why and How to Effectively Appeal to the USPTO Board of Patent Appeals and Interferences will focus on strategies for every phase of the appeals process and will include coverage of the new rules that became effective on January 23, 2012. This Summer conference will be held at the Hyatt Regency Crystal City, which is conveniently located just a few minutes from Reagan National Airport. And we’re offering a great room rate of only $149 per night, single or double, plus tax! 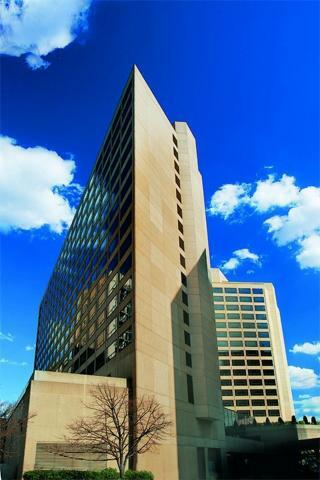 Hyatt Regency Crystal City, location of the Summer Advanced Course Conference. During the Fall Advanced Courses Conference, PRG will be offering a course that provides instruction on the best methods for drafting patent license agreements. After the jump, learn all the details about this course! We’ve already highlighted our popular course on the America Invents Act, which will be available at both the Summer and Fall 2012 Advanced Courses Conferences. The course highlighted today is a special one-day course that will only be available at the Summer Advanced Courses Conference: When, Why & How to Effectively Appeal to the USPTO Board of Patent Appeals and Interferences (USPTO BPAI). This course was first offered in 2008 and continually earns the admiration of attendees year after year for its in-depth analysis and excellent faculty. This course will include coverage of the new appeals rules that became effective on January 23, 2012. Continue reading to learn all the course details on When, Why & How to Effectively Appeal to the USPTO BPAI. 2012 Winning Patents Workshops Now Open for Registration! PRG’s 2012 Winning Patents Workshop provides a strong foundation for entry-level patent practitioners with up to two years of experience. The workshop will teach the skills necessary to produce better patent applications in the current world of patent case law. And this year’s Workshops have been updated to reflect relevant changes introduced by the America Invents Act (AIA), including the entirely new §102 prior art criteria, which become effective in March 2013. 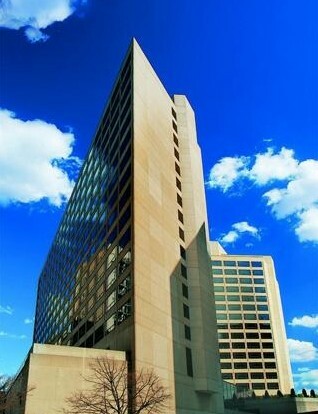 Hyatt Regency Crystal City in Arlington, VA, location of the July 17-20 Workshop. Intellogist — Patent Search Questions. Expert Answers.